As a writer, Shaun King is a racial explainer paid to decipher issues of bias, injustice and America’s inescapable crisis tied to racism. 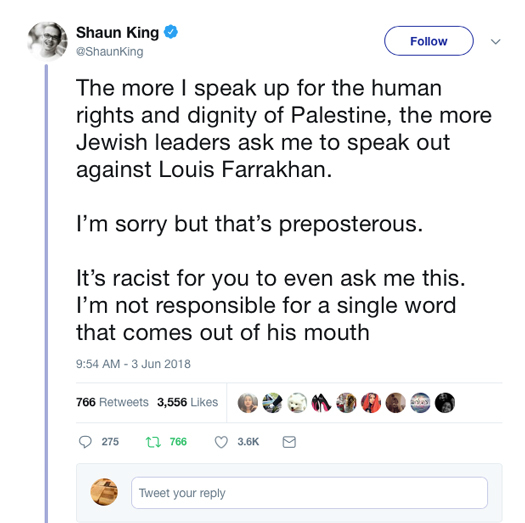 While Mr. King is noted for his race-’splaining, reporting on racial wrongs and activism, he recently joined the “let’s explain and condemn Farrakhan’ chorus” caterwauling since February. At its root are Zionists slandering Nation of Islam Minister Louis Farrakhan, trying to isolate him and punishing anyone who comes near him. 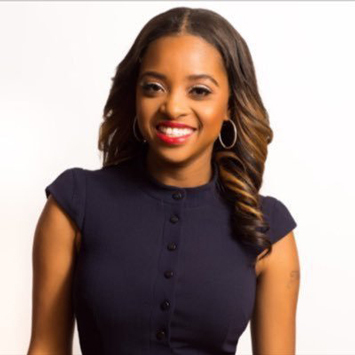 Activist Tamika Mallory, a leader of the anti-Trump women’s march last year, was the target of Jewish ire, right-wing media and mainstream press assaults for attending the Minister’s Saviours’ Day address in Chicago in February, where he unmasked Jewish groups and individuals who have opposed and plotted against him. The core of his argument and subsequent address May 27 was a clear spiritual message about the Synagogue of Satan spoken of in the Bible and Quranic verses concerning evil activity of a party from among the Jews. A circumcision of the heart requires examination of thoughts, actions and whether behavior and thoughts are in accord with the law of Moses. The condemnation of Jews is clearly aimed at those who use wisdom given by Moses and some of the forgotten trickology, a system of trick and lies devised to master the original people, in wicked ways. If you promote immorality and lifestyles condemned by God can you be called a Jew? Emphatically not. 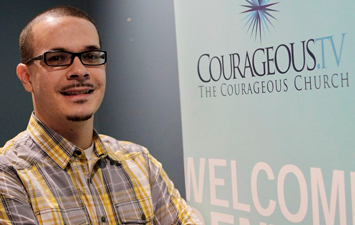 In this undated photo, Shaun King poses where he was the lead pastor of Courageous Church in Midtown Atlanta. King, a blogger who rose to prominence in the aftermath of a police shooting last summer in Ferguson, Mo., pushed back against claims by conservative bloggers that his parents were both white and that he exaggerated an assault he endured two decades ago while attending high school in Versailles, Ky. Neither can you be called a Christian, if you violate the teachings of Christ. Nor can you be called a Muslim, if you fail to follow the Holy Qur’an and the teachings and the example of Prophet Muhammad. The president and others delight in demanding that “good” Muslims condemn any act undertaken by those who claim Islam but are seen as terrorists who unjustly resort to violence. They see a need for a distinction in Islam, but not when it comes to Zionists and their evils. The Minister’s reference to “Satanic Jews” refers to those who do evil and use the name of Moses as a shield from condemnation of their dirty practices. “A righteous Jew will practice righteousness. The false Jew will lead you to filth and indecency. That’s who run show business. That’s who runs the record industry. That’s who runs television. … We have to ask the righteous Jew to speak up and to speak out against the Satanic Jews because if you don’t, the evil of the Satanic Jews, you will pay for it as a Jew,” said Min. Farrakhan on May 27. He also detailed the teachings of the Talmud, the holiest of Jewish books, written by rabbis and doctors of law that justify deceiving and abusing non-Jews. If you disagree with the scriptural argument, bring a better, reasoned and scriptural argument to defeat the truth. Don’t parrot lies to appease paymasters or misperceived friends. Mr. King calls the Minister a “problematic friend” for Ms. Mallory. He writes Min. Farrakhan “appears to have a lifelong problem with Jews. I don’t even think he would deny it.” Wrong. The Jewish problem begins in 1984 when Rev. Jackson, running for president and calling for a balanced U.S. policy in the Middle East, is threatened and targeted by Zionists and Min. Farrakhan defends his brother. Mr. King was about five years old when this battle started. Mr. King touts his work with the Anti-Defamation League, which I assume he sees as his friend and friend to Black people. Not so. The ADL and evil Zionists opposed affirmative action, target Black congressmen who did not toe the line on Israel, criticized President Obama for not kowtowing totally to Israel’s Benjamin Netanyahu, exploited Blacks in urban ghettos, and opposed integration into Jewish neighborhoods. They were also involved in the global slave trade. Jewish Voice for Peace declared the ADL’s “history betrays an extensive record of anti-Arab, anti-Muslim, and anti-Palestinian advocacy. There are countless ways the ADL has fueled Islamophobia for decades—from surveillance to smear campaigns–and their attacks on Muslim communities in the U.S. are far-reaching. … The ADL has also exhibited its lack of commitment to standing against anti-Black racism and anti-Muslim violence and surveillance at the hands of the police. … The ADL often places its concerns for the Israeli government above its concerns for human rights.” Could Jewish Voice for Peace be anti-Semitic? There are no “Jedi mind tricks” being played to ignore wrongs by Min Farrakhan. The only “Jedi mind trick” is believing Zionists are friends we can’t live without, when they are not friends at all. But Mr. King may be getting the message: He tweeted June 3 that the more he writes of justice for Palestinians the more Jewish leaders demand that he condemn Min. Farrakhan, which unmasks the true motivations of the Zionists. With friends like these, who needs enemies Mr. King? Stop trying to link Farrakhan to your wicked murderers!